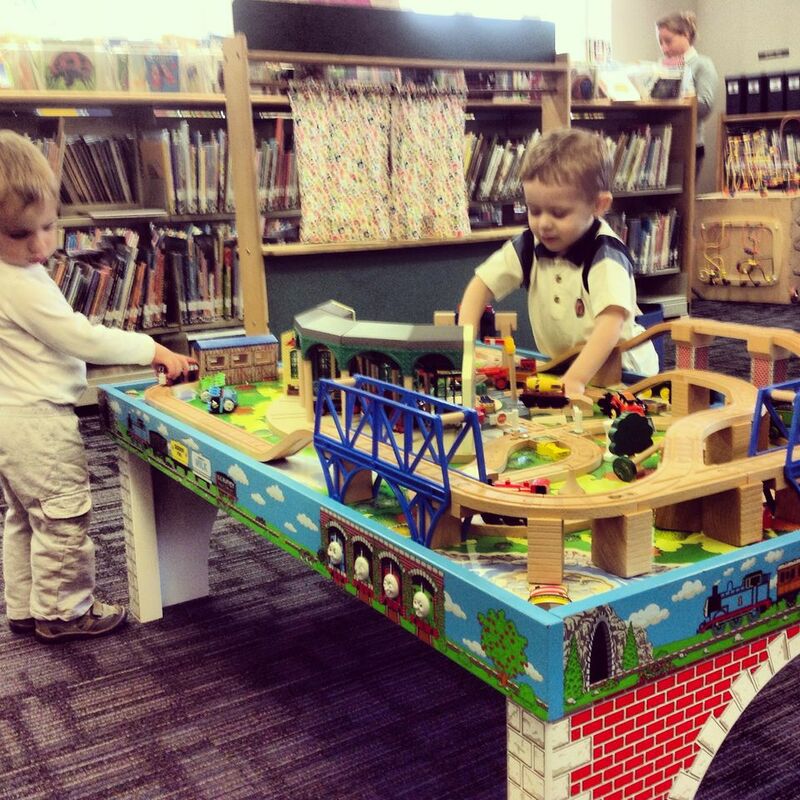 A big favorite in the Children’s room is our Thomas the Tank Engine train table. It gets very heavy use from boys and girls alike. After a couple of years, all that play can really start to take a toll, so the Children’s dept. is very happy to say that, thanks to funding from the Friends of the Cheshire Public Library, we’ve been able to replace the old Thomas Train table with a brand new updated model. We invite you to come on in and take the new trains and cars through their paces!